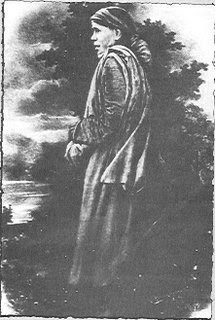 Sai Baba in the earlier years after being not allowed to stay in Khandoba Temple remain absorbed in divine contemplation for most of the time under the Sacred Neem tree called Gurusthan (Shirdi). As all the wandering Fakirs, provision for food was left to the divine. Sai Baba would roam about in Shirdi and surrounding lands and would sit in the jungle like places. The village head Ganpat Kote Patil and his wife Bayjabai, were greatly attracted to this divine Fakir. Particularly the love of Bayjabai for this unknown and unnoticed Fakir was great. She would roam about looking for this mad Fakir with food to feed him. Only after finding Him with great difficulties and feeding Him, she would feel satisfied and would eat herself. The Fakir looked mad to the world as He was always engrossed in God, engrossed in divine. All the other material things, even eating the food at regular times was neglected. Sai Baba called her as her sister, and also told that she was His sister in previous life. Bayjabai through Rinanubandh was indeed very fortunate to be attracted by this divine brother and looking anxiously for Him to feed Him. Sai Baba said about Bayja Bai, "This is my sister in previous Janmas (births), and she has always been supporting me." This was her bhakti or love for divine. She would think and yearn to feed Sai Baba hence her consciousness was always upon the divine and Sai Baba was Divine personified. 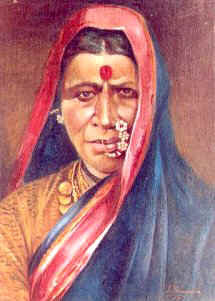 Bayjabai was simple village woman and accidentally was engrossed in bhakti (devotion). People might go and visit temples, do pilgrimage, offer puja (Worship Sai Baba) , Chant Sai Baba's name but the most essential is Love. Love for God and divine. Yearning to feed the beloved, yearning to offer flowers or service to beloved is the right form of devotion. And Bayjabai had that yearning. 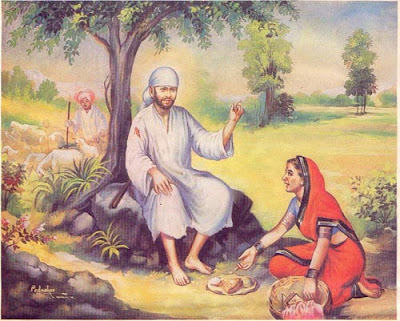 Something in her would always yearn to take care of divine Fakir called Sai Baba. Tatya Kote Patil the son of Baijabai was equally loved by Sai Baba he loved Sai Baba. Tatya used to call Sai Baba as Maamaa (Mother's brother) and would sleep in the divine Masjid (Dwarkamai) with Sai Baba for long time. 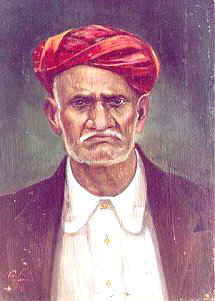 Tatya Patil just as Shama could force Sai Baba, and had a loving relationship with Sai Baba. Blessed was the Kote Patil Family, who loved Sai Baba, and thus had the love for Divine. Sai Baba the compassionate Master is also well known for the temporal benefits along with the spiritual push. Tatya became materially rich by the money given by Baba to him. Sai Baba used give him money everyday with which he bought much land. Sai Baba also advised him to save money and not spend lavishly on self. Also many calamities of Tatya and his family were averted by Sai Baba's grace. We should note here that Bayjabai and Tatya were not attracted to Sai Baba for material money or averting the calamities. It was love. We should always be asking for love of Sai Baba. Love includes all. A child if asks for money or some other thing from the mother. The mother might give it if it does not harm the receiver. But if love is sought for, all the needs of child are taken care. If the child is hungry the mother rushes to provide for food. If the child is in danger, the mother rushes to protect the child. The child does not have to ask individually for essential needs. Om Sat Chit Anand Sadguru Sainath Maharaj Ki Jai. Or read more about Contemporary devotees of Shirdi Sai Baba.